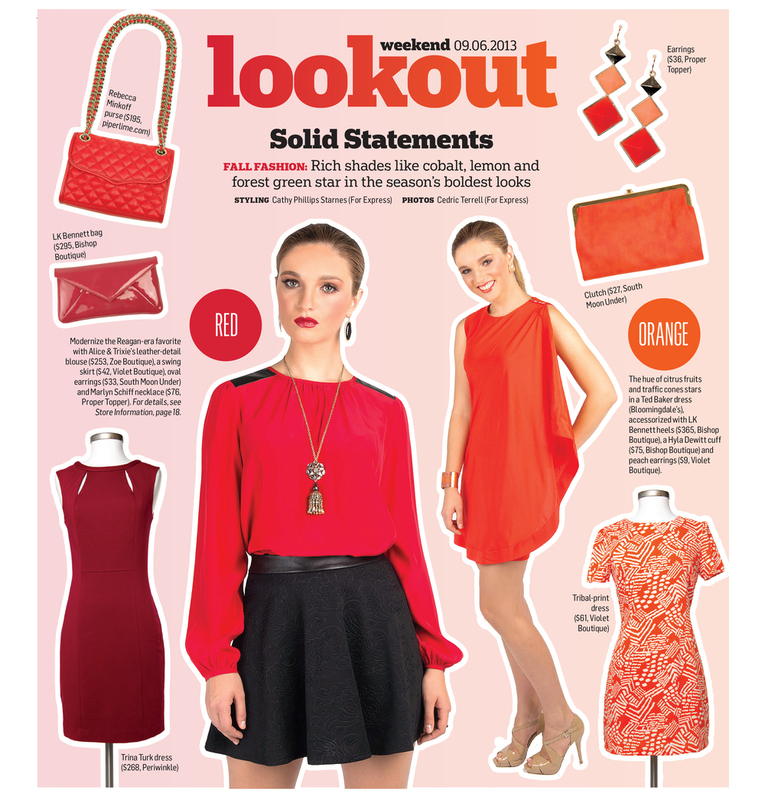 Embrace the changing season by updating your wardrobe with the help of the Washington Post Express! 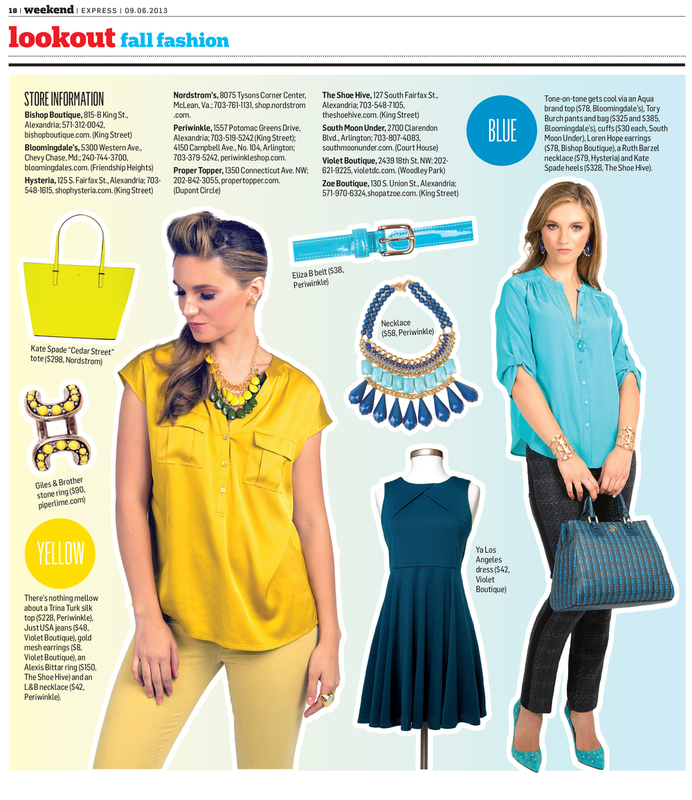 Don't be afraid to incorporate ruby red, sapphire yellow, and aquamarine blue into your autumn attire. This fall, bolder is better! Thanks to the Washington Post Express for their fabulous attitudes on and off set. We look forward to working with them again soon!